Here is the latest information regarding the library media center, books, teens and technology. For the school year 2012-2013 I am taking a sabbatical. Information regarding my classes, travels, book reviews, and interesting articles will be posted on my new blog, Notes from the Hiatusphere. Since I am taking a number of great courses in technology including one on Google Apps for Education I will create a new website with numerous features for our Hooked-on-Books Club and HS Reading Olympics team. I will try to link everything together so that the information is easy to find. Should you wish to recommend any interesting item please email me at smowery@udsd.org. I will see you back in September, 2013. Have a great year! Lauren Kurtz, teen librarian at Upper Dublin Public Library, and I are teaming up to bring some fun and reading inspiration to the teens in our area during the week of October 24th. Our top program this year is Wrestlemania 28 Reading Challenge sponsored by the American Library Association. Teens who read 5 books or graphic novels during teen read week are eligible to enter a contest to attend the live televised event. Also granted is $2,000 for their school. Also happening this week are the annual English class visits to read, drink coffee or hot chocolate, eat some sweets and learn about new books. Ms. Kurtz may also join in the fun. Mrs. Lezczynski's classes made fabulous Animoto book trailers which can be found on the library wikispace under "Book Trailers." This is one example from Avani Patel. This glogster presents some of the books presented on April 26th. My favorite book and the Printz Award-winning novel for teens is Ship Breaker. In our new media center there is a new section specifically dedicated to professional literature for staff. 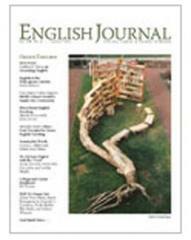 Located here are the latest professional education journals and those that are subject-specific such as The English Journal. Beneath the journals are books dealing with teaching, educational technology, and the state of education. Please visit this new section, let us know what you think and make some suggestions.